How many of us spend hours in front of our computer monitors? During the day at work or playing games at night, our eyes are tired of screen time. At night this can cause a couple issues - eye strain, dry eyes, migraines, and sleep disruption, due to the barrage of blue light. This can affect your work performance or ultimately if you win or lose an online game. This is where a low blue light monitor can become an advantage to your health and your gaming. There are some simple ways to reduce blue light, such as blue light filters which are placed in front of your monitor. They're effective but the best solution is to purchase monitors with low blue light features built-in. The main benefit of new monitors is that they offer enhanced visuals which older monitors using filters and screens may not. Additionally, monitors with better refresh rates and flicker-free models will decrease eye strain. Our reviews will give you all the pros and cons of each of the monitors we have tried so that you can make an informed choice. Plus, we will reveal which models we believe to be the best low blue light monitor for the office, at home, and for gaming. Two members of our staff have looked over a dozen monitors with low blue light features. Choose from our favorite 9 models from BenQ, HP, Viewsonic, Dell, ASUS, and Acer. The visual quality you expect from BenQ plus a set of features that make monitor viewing easy on the eyes? Quality features in a value priced monitor. Flexible blue light controls combined with a good look and vivid picture. Solid 4k monitor with industry best ASUS Eye Care, combining blue light controls with a flicker-free panel. Performance specs with MSI Eye Protect Tech make an immersive experience without the eye strain. 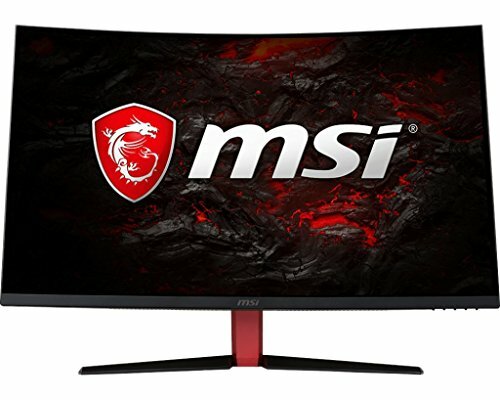 Mid-range gaming monitor with 144Hz refresh rate and 1ms response time! Futuristic design combined with killer features at a great price. Reduce eye strain with EyeProtect blue-light Filtering technology. If you ask yourself the question, "What do I want in a gaming monitor," there are bound to be obvious answers like fast response times, multiple connectivity ports, and great color contrast. One of your primary requirements must be that it doesn't harm your eyes. 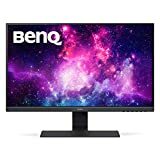 The BenQ GW2780HL gaming monitor does indeed have all the features for great visuals during play, with the added benefit of the BenQ low blue light setting which offers adjustable blue light levels. BenQ's low blue light technology offers players 4 different user modes which allow longer playing and viewing times without your eyes being strained. In effect, they filter the damaging blue light in the frequency range of 420 - 455 nanometers but permit non-harmful blue light in frequencies of 455 - 480 nanometers. This gaming monitor blue light filter system is not only for use when playing your favorite games, but is also beneficial when using the monitor for your PC, or when being used as a normal screen for watching streaming services such as Netflix. Blue light reduction can help reduce eye strain however screen flicker can cause eye strain, and it often occurs without you realizing it's happening until your eyes get sore. Thankfully, the BenQ monitor's stable feedback technology diminishes this harmful flickering effect, and in doing so reduces eye strain. Although BenQ technology will eliminate blue light from the computer screen, it does not mean that the images you see are poor in terms of color, clarity, or sharpness. The contrast of this monitor is 300:1. This means any image on screen will be highly defined, even in parts which are dark. It will also have exceptional clarity, which allows you to see every object in great detail, and if all that wasn't enough, the colors will have outstanding depth. To get the colors to be as vivid and as varied as they are, this BenQ monitor has an 8-bit display capability which means it can display no fewer than 16.7 million different shades of color. This capability will colorfully bring to life any game you play, and it will have all the colors that the game designers intended them to have. When playing games, it is not always going to be the case that you are sitting directly in front of the monitor. Multi-player games, or games where you are physically moving the controller a lot, necessitate your viewing from different angles. With many monitors, this reduces the clarity of the image. The BenQ monitor does not suffer from this problem due to 178 by 178 viewing angles, which give extremely sharp images from the widest of angles, including above and below the monitor. HP has a great reputation for manufacturing quality computers, laptops, and peripheries such as printers and monitors. The N270h 27" Full HD Gaming Monitor offers full HD viewing and an anti-glare screen surface. Two questions for you all. First, how good an image does this monitor produce. Second, how does it combat blue light in terms of reducing its harmful effect on users' eyes? 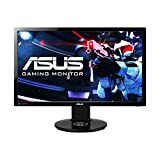 Let's deal with the first part of our question and put this monitor through its paces in terms of how it performs. The immediate appeal of this monitor is its styling, with an uncluttered surround and stand. The black, matte finish on the screen completes the ensemble, and for those that like more simplistic styling, you'll definitely love this. In terms of eye-strain, the main issue we are looking at here is blue light, and you will be delighted to know that this HP monitor addresses this well, with an integrated blue light reduction system. Blue light can be switched on or off using the appropriate menu option, and the 'off' option is likely to be the best monitor setting for your eyes if blue light causes you discomfort or eye strain. Gaming images are all about color, and this monitor more than provides for a colorful experience while you are playing. It can produce no fewer than 16.7 million different color shades, and it does so using the latest frame rate control technology. Add to this a superb color contrast ratio of no less than 5,000,000 to 1 (yes, 5 million!) and you can be assured that every image on your screen, whether you are gaming or simply surfing the internet, is going to look its stunning best. The visual highlights don't end there, as this monitor can be seen in HD from angles up to 178 degrees. This allows you to see images on the screen with superb clarity, even if you move off-center when the game involves plenty of controller action. Other great features of this monitor include a very easy on-screen menu system, which you can use to set it up and then adjust its settings if you need to when using it. There's also HP's bespoke 'Display Assistant' software which you can use for adjustments, security, and calibration. Viewsonic has a reputation as one of the world's top manufacturers of display equipment including projectors, interactive displays and monitors. They are particularly adept at producing top quality and high specification monitors, so our expectations were high when we started to look at the ViewSonic VA2759-SMH Monitor. So how did this Viewsonic measure up, not in terms of its size, but in its ability to prevent blue light from being an issue for its users? Viewsonic has developed their own solution to the problem in the form of a blue light filter. This technology can be adjusted by the user so that the level of blue light matches the viewing scenarios. This means it is optimized to keep blue light levels safe, while at the same time allowing for the very best color quality on-screen. An example of this would be when looking at photographs where levels of blue light often need to be a bit higher. Another aid to good eye health when playing games on this Viewsonic monitor is its bespoke 'Flicker-Free' technology. This enables the monitor to operate at a faster refresh rate than standard monitors. 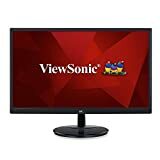 Most standard monitors refresh at only 60 Hz but the ViewSonic VA2759-SMH refreshes at 75Hz. If you play against opponents online, this can mean the difference between your healthy eyes letting you play on to win, while your opponent's eye strain has them quitting. 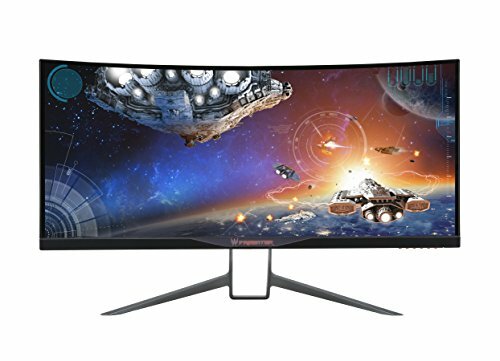 Visuals are customizable with this monitor as you can set-up three 'Gamer' preferences so that the monitor is optimized for individual games which you play. There are also four pre-programmed modes which are operated using hot-keys. When selected, they each activate a pre-calibrated setting which adjusts various aspects of the image, such as colors, depending on the game mode chosen. Having looked at some of the technology used within this monitor, let's take a quick look at one of the more practical matters: connections. Connections include VGA and HDMI, so you can connect from virtually any console or PC, plus there are audio connections too. There is no doubt that ASUS is one of the biggest and most successful technology companies in the world. Their product range includes laptops, smartphones, tablets, servers, PCs, and monitors. 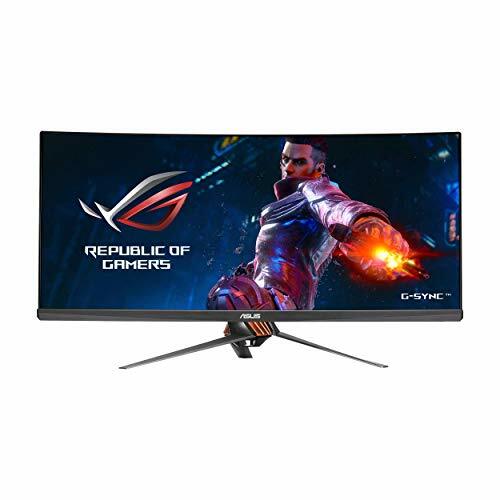 The specific model we are looking at is their MG28UQ UHD 28-Inch FreeSync Gaming Monitor which comes with an impressive list of technologies and features. First, let's look at how this impressive monitor deals with the issues of eye strain caused by blue light. It is part of a range of monitors under the branding Asus Eye Care. You might be asking "What is Asus eye care?" and right away we'll tell you they are not moonlighting as opticians. However, the technologies they include in this monitor and others in order to combat eye strain caused by blue light will certainly impress your optician. The first element of this is ASUS Flicker-Free technology which, as the name suggests, reduces flicker and in turn, eye strain and headaches. The screen is designed with a surface which reduces glare which can also cause eye strain and fatigue. Regarding blue light, Asus has undertaken a great deal of research, and rather than having a simple on/off solution they have implemented a menu which allows you to select different blue light filter levels. These levels are adjusted depending on the reason you are using the screen. The gaming level is different from the level you set for reading documents, for example. When you are looking at your Asus monitor, the blue light setting you've chosen will adjust according to the activity. 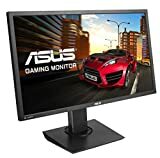 If you play fast moving games, this monitor will suit your needs. The Asus MG28UQ has a response rate of 1 millisecond, which is 400 times quicker than the blink of an eye. The result is seamless game action and great visuals. Another awesome feature to make your game time more fun is the hotkey technology which Asus has included for this monitor. Using this feature, you can improve your shooting skills thanks to four different crosshairs. Plus you can time yourself to make sure you are the fastest draw, too. The last thing to mention is the great connectivity this monitor has, enabling you to connect to other devices using any one of four different connection types. It has two USB 3.0 ports, 1 x DisplayPort 1.2, and both 1.2 and 2.0 versions of HDMI. So, no matter what gaming console, keyboard, or controllers you use for gaming, they can all be accommodated. The standout feature of MSI's powerful new Optix AG32CQ model is its refresh rate. If it's a seamless gaming experience that you're after, it's hard to beat the AG32CQ's refresh rate of 144Hz, which is almost a third better than the current market standard. Another feature that makes the AG32CQ stand apart from the rest is its latency of a single millisecond. The monitor is also fully compatible with AMD's FreeSync option, which guarantees some of the smoothest gameplay currently available. The bad news is that, if you do happen to screw up at some point during the game, it will just be that much harder to blame it on your machine. This is a 32-inch monitor that comes in a WQHD resolution of 2560 x 1440 pixels. It is not an HDR display, with a brightness level of 250 nits, but it does come with a stunning 3000:1 contrast ratio and a viewing angle of a full 178 degrees. One of the best things about this monitor, however, is how easy it is on your eyes. The AG32CQ is automatically optimized to reduce eye fatigue by limiting the blue light spectrum it shines into your irises. Not only does MSI's Less Blue Light technology eliminate more of the ultraviolet-adjacent spectrum than most blue light filters currently on the market, but this display also comes with flicker-free backlight technology that extends beyond the ultraviolet area, covering the entire light spectrum. Where many gaming monitors limit their flicker-free backlight to only the blue light spectrum, MSI's Optix AG32CQ backlight reduces flickering across all colors in the spectrum. This powerful combination can have a noticeable effect on both your gaming hours and your sleeping hours, reducing eye strain during the day and improving sleep quality at night. The Optix AG32CQ has an extra narrow bezel design that allows for a deeper immersion in the gaming experience than most gaming monitors. It can also make multi-monitor setups more seamless and easier to navigate. The curvature rate is a comfortable 1800R, which keeps the game right in your face while limiting graphics distortion. The AG32CQ also comes with an estimated 20% more gamut coverage than the market average for gaming monitors. This helps accentuate the monitors colors, ensuring the highest degree of accuracy in image reproduction and detail. If you are searching for a new gaming monitor with low blue light, you might want to check out the ASUS VG248QE. The monitor is completely compact, but still provides a decent sized screen that pro gamers will love. Regardless of how much cash you spend on your PC, without a good quality monitor, your PC gaming will fall short. To get the most out of your PC, a monitor such as the ASUS VG248QE is essential. Even though it was released back in 2013, the VG248QE is still considered one of the best gaming monitors for gamers. It also includes some impressive specifications such as a refresh rate of 144Hz. If you're currently using a 60Hz unit, you will immediately see the difference with the 144Hz. Asus have created a monitor that has every adjustment a gamer might need. It goes right and left, up and down, backward and forward, and it can even be flipped into a portrait mode. So whatever position you need it in, this monitor can be customized into any position imaginable. As seen with most gaming monitors, this Asus model features various ports. At the back, you will see three video inputs: DisplayPort, HDMI, and DVI. Next to these is a headphone jack and an audio input. Possibly the best feature of the VG248QE is its one millisecond pixel response which means it provides no smearing, ghosting or lagging, even with fast-paced games. Besides providing a flawless display with games, it also works perfectly for movies. As you will notice with most monitors, the speakers are not the best. The ASUS VG248QE only provides two watts per speaker so it sounds like it is lacking bass or comes across as tinny. It is also tricky to differentiate between various sounds as these speakers output all sounds with the same pitch. The best option is to buy a high quality pair of gaming speakers immediately, especially if you are going to primarily use it for gaming and to watch movies. The Alienware AW3418DW is a curved monitor that proves that peak performance can also be pretty. With 34 inches of sleek, curved display area at 3440 x 1440, also known as UWQHD. One of the features that stands out most about the AW3418DW is the peripheral LED lighting. Like a spaceship exploring the deep recesses of the universe, this monitor was built to glow. The down-facing LED strips on the underside of the screen compliment the rear-facing strips in the back, all of which can be customized to display any color you like in a number of soothing, rhythmic patterns. Of course, aesthetics aside, the problem with any added LED lighting is the question of added eye strain. Alienware has come up with the perfect answer to this question in the form of its ComfortView preset mode. Designed for late-night gaming addicts, the ComfortView mode lowers the amount of blue light emitted by the screen. Not only can this preset can be used at night in a dark room as a way to let your brain know that it's almost time for bed, but many experts recommend that you leave the blue light filter on all day long. Limiting the blue light emitted by your monitor has been shown to dramatically reduce eye strain. The AW3418DW is a bold monitor with an eye-catching base that looks like a time machine. It has colors that pop and performance that can handle the most complex combos with zero lag time. The ultrawide screen area and matching resolution bring every detail to life, and the 178-degree wraparound field of view will help make sure that your opponents have a tough time sneaking up on you from any direction. Latency from this monitor has been clocked at only about 12.9 milliseconds, which is slightly better than the market average. The refresh rate is a standard 100Hz, which can be overclocked up to 120Hz. Asus' flagship model, the 34-inch PG348Q, is a luxurious gaming monitor with a resolution of 3440 x 1440 pixels, a refresh rate of 100Hz, 13 milliseconds of latency, and full support for G-sync technology. The display has a subtle curvature of 3800R, which minimizes graphics distortion while almost completely filling your peripheral vision. If you're looking for a monster monitor, it doesn't get much better than this. This display comes with an LG-made AH-IPS panel that reduces glare quite noticeably. Although the PG348Q does not feature a flicker-free backlight, it does include ULMB technology, which places the monitors pulse width completely under your control. This feature allows you to strike the perfect balance between brightness and motion resolution, depending on your needs. Although the PG348Q curvature may be subtle, there's nothing subtle about the monitor's design. This display comes with chassis that looks like it leaped right off the pages of a sci-fi novel. Apart from the straight lines that frame the screen itself, every single surface features some kind of curve, including the base, the stem, and the back of the monitor itself. The PG348Q comes with an anti-glare layer that is hard to the touch and will not distort the image even if you press on the screen. This flush-mounted layer also helps provide crystal clear clarity and reduces grain to almost non-existent levels. There are four different Low Blue Light settings that you can adjust depending on the time of day and the activity you are going to perform. If you wish to eliminate the blue light spectrum completely to reduce eye fatigue or help you wind down before going to sleep, you have the option to turn it all the way off. If you only need to reduce it a little for daytime use, web browsing, or reading, the PG348Q's other Low Blue Light settings also allow you to warm the color temperature only slightly or reduce brightness or contrast. The ROG Swift PG348Q has advanced flicker-free technology that provides both smoother gaming experience and fewer instances of eye strain even if you are caught up in a long gaming marathon. The heatsink featured in this model is also worth mentioning. Heatsinks are conductive devices made out of metal and used to absorb the heat generated by a nearby source, such as a CPU or the circuit board in a monitor, and expel it. Asus' customized heatsink is double the size found in most other monitors and comes with a Smart Air Vent design that generates greater airflow within the monitor. This machine was genuinely built for gaming marathons. Acer's standout curved gaming monitor, the beautiful Predator X34, comes with all the standard features that you've come to expect from a premium display as well as a few extras that will make you sit up and take notice. With 34 inches of display area, a 21:9 aspect ratio, and only 10.3 millisecond of latency, the X34 comes with a gentle 3800mm radius that keeps every inch of the monitor as close to your eyes as possible without causing any visible distortion. What separates the Predator X34 from many of the other models on the market is the increased image fidelity providing by its in-plane switching (IPS) technology. The X34's IPS panel provides you with the wider viewing angles demanded by its extra wide viewing area and also helps ensure that the monitors color reproduction is as accurate as technologically possible. If you're wondering about the X34's compatibility with your sleep cycle, you can rest easy. The monitor has a built-in Low Blue Light picture setting that removes only the most tiring blue light frequencies and adjusts the rest slightly to provide the most accurate color representation possible while reducing eye fatigue considerably. Acer's X34 has a few other eye-saving settings including four Gamma presets and color temperature settings that can be cooled, warmed, or customized from the ground up, depending on your mood. This luxury display also comes with a flicker-free LED backlight, which does wonders for reducing eye strain over long periods of use. Its frame-rate conversion technology provides you with a 10-bit color experience, and the monitor boasts an amazing four millisecond response time and an 100 Hz refresh rate that is fully capable of overclocking. 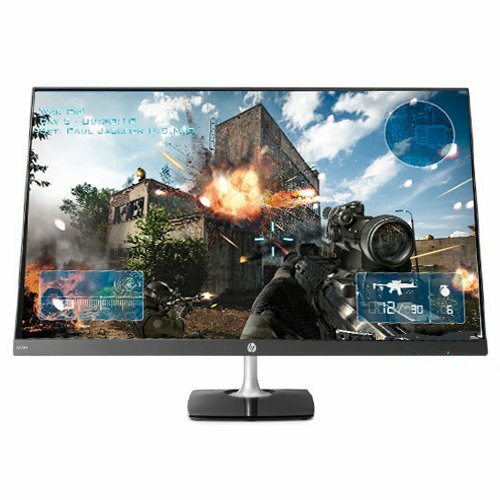 The X34 also goes a step further toward accurate image reproduction with its G-sync adaptive refresh technology, placing this monitor among the few luxury displays on the market that put equal emphasis on top-notch graphics and eye safety during prolonged use. When searching for the best monitor for your eyes there are a lot of considerations to take. For starters it should have a low blue light option, whether it's a toggle or a value you can set from 1-100, like brightness. This can be controlled by hardware buttons or special software. There are 5 major features you should understand - Refresh Rate, Panel Type, Response Time, Resolution, and Adaptive Sync. Additionally, there are other specifications to pay attention to, such as the Stand or Contrast Ratio. Let's dive in. Includes 5 level blue light adjustment, flicker-free panel, and anti-glare coating. Application to adjust blue light settings. Can also be done directly on the monitor. Similar to ASUS. Mutli-level blue light adjustment, flicker-free panel, and anti-glare coating. Anti-Flicker, Less Blue Light, and ScenaMax features. Set blue light level from 1-100. RGB leveling maintains the correct color balance. This is one of the most important specs. What is refresh rate? It's how many times the screen refreshes per second to display a new picture. This is measured in Hertz (Hz). The higher the better e.g. 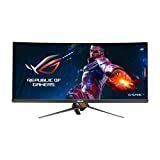 144Hz is better than 60Hz. Most consumer monitors run at or around 60Hz. If you're going to buy a 60Hz monitor make sure it has flicker-free technology, otherwise eye strain will be a problem for you. BenQ has an excellent flicker-free video example here. Gamers should buy a monitor with at least 120Hz though newer monitors are available at 144Hz and beyond. There are 3 major types of panels - TN, IPS, and VA. Below are descriptions of each panel but note they are generalizations. 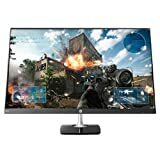 As of 2018 OLED gaming monitors aren't in the mainstream yet but will be considered the best overall pick once they're released. Latency for gaming is an important issue and finding a low latency monitor is not only important for your eyes but crucial for certain types of games. Issues such as Ghosting and Motion Blur will occur with fast action on monitors with high response times - like taking a picture of a moving object with a poor camera. Generally you'll want to find a monitor with the lowest response time. This is quantified by two stats - GTG (grey-to-grey) and BTB (black-to-black) - which measure the time it takes for a pixel to go from one state to another. This is measured in milliseconds (ms). Lowest is best and you should avoid anything over 5ms. Editors note: Response time is different from Input lag, which is notable for high performing gamers. Input lag is the delay between a user-action (keyboard, mouse) and when the result of that user-action is shown on the screen. A high refresh-rate monitor (144Hz) will have less input lag than a 60Hz model. Using a wireless mouse & keyboard and upscaling features will add further input lag. There are four main resolutions you'll find when looking to buy a low blue light gaming monitor - 1080p , 1440p, 4k. and Ultra-Wide QHD. This spec is measured by pixels (px). Higher resolutions mean that there more pixels per inch (PPI) resulting in a better image. This can become very noticeable with larger monitors the closer you get. Which size gaming monitor should you get? It depends on your computing space and budget. 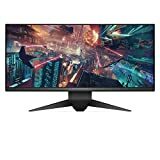 For anything larger than 27" I would recommend a 1440p or 4k monitor; under 27" get the best you can based on your budget and overall monitor featured. Don't necessarily sacrifice for a larger monitor if it has poorer refresh rates and response times. There are two very similar adaptive sync technologies - originally from NVIDIA and then released by AMD. Adaptive Sync matches the monitor refresh rate to how much the GPU can process in real time, eliminating "tearing" and making the image smoother. Similar to the VSync option you see in games but without the input lag. AMD FreeSync - uses VESA standard Adaptive-Sync which is an optional feature of DisplayPort version 1.2a. Before purchasing a monitor with either technology make sure your video card supports it. If you're going to mount your monitor does it have a standard VESA plate? Most monitors will be 6-bit or 8-bit, or 6-bit+FRC. This refers to the hardware that contributes to the color quality. In truth, we were impressed with all the monitors we reviewed, particularly with respect to how they all had technology and features in place to deal with the issue of blue light, and in many cases flickering too. To pick a winner out of all them was tough, and in the end, we chose a couple which offered the best gaming experience in terms of graphics, combined with how well they addressed blue light. Our top choice for all-around pick is the ASUS MG28UQ 28" FreeSync Gaming Monitor which provides stunning imagery thanks to its 4K UHD display and fast refresh rate of just 1 ms. It provides these great graphics while at the same time having the most comprehensive system for users to adjust the display settings to their personal preferences in terms of blue light filter levels. The performance pick is easily the ASUS ROG Swift PG348Q 34" Curved Gaming Monitor. As a flagship model it doesn't cut any corners and it provided one the best gaming sessions I've experienced. Asus has clearly taken the issue of blue light and eye strain seriously and wanted to create products that provide a safe but enjoyable experience for their customers. Copyright © 2018 Sleep XP | All Rights Reserved.